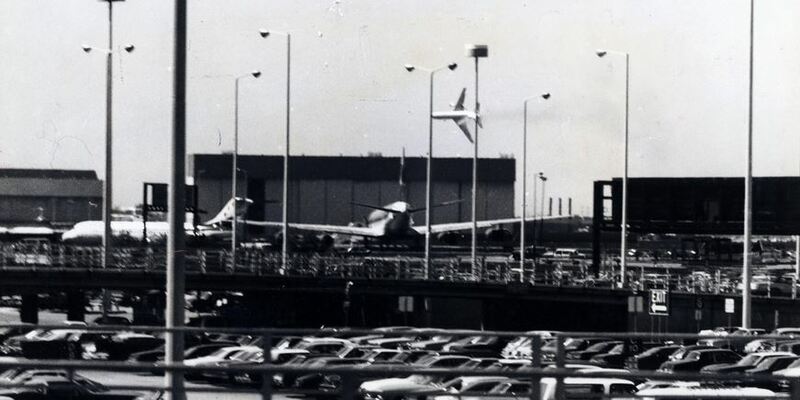 On May 25, 1979 American Airlines flight 191, a McDonnell Douglas DC-10 took off from O'Hare airport in Chicago. Moments later its left engine separated from the wing and the plane went down killing all aboard. The cause was eventually determined to be faulty installation of the engine after maintenance (using a forklift) resulting in its mounting pylon breaking free from the wing. This led to questions regarding the aircraft design and on June 6 the FAA grounded all DC-10s. They removed the restriction on July 13. Just prior to the crash, United Airlines, another major flier of DC-10s returned to operation following a devastating nearly two month strike by the machinists union. They had planes to fill and no passengers with reservations to fill them. Up until shortly before this strike, airlines relied on a mutual aid pact to weather such strikes. An airline under strike was given a high percentage of the windfall profits that the other airlines earned due to the strike. With airline deregulation, this was one of the first things to go. United was desperate. 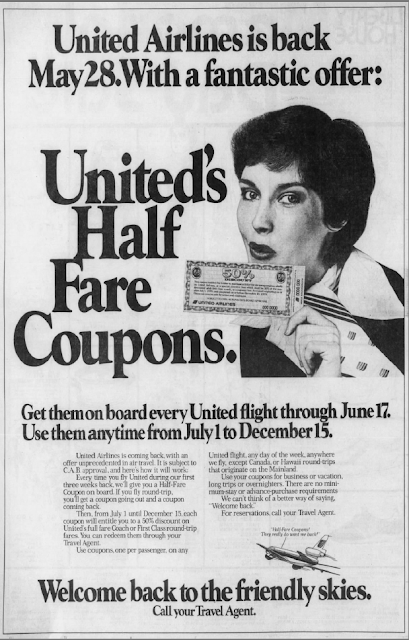 In an effort to lure back passengers (with unfortunate timing), the very same day as the crash of AA 191 United started running ads (featuring a DC-10) offering "half-fare" coupons to all passengers who flew on any of their flights beginning on May 28. (American soon followed.) Coupons were handed out on each segment of a multi-segment flight, and in any class of service, through June 17. The coupons were good for half off the regular coach or first-class fares for domestic travel between July 1 and December 15. To put this deal in context, in those days there were generally two fares available -- full fare, or something called Super Saver fares which were significantly less than full fare but which required round trip travel, 30 day advanced purchase, a Saturday night stay, your first-born, and probably other restrictions that I've forgotten. The coupons were good on one-way, round-trip, open-jaw, and circle trips...so they were an amazing give away. One of the full page ads running in most major cities. Note the plane illustrated. Here's an example: in July 1979 TWA offered round-trips from San Francisco to New York for $490 in coach (there was also a night fare for somewhat less.) Super Saver (in coach) was $294 off-peak and $343 peak but with the aforementioned restrictions. So the half fare coupon gave you the same trip for $245 with no restrictions. To no one's surprise there was quite a rush to obtain these coupons. You could find them for sale in classified ads. But, of course, the easy way to get them was to actually take a flight--any flight, if you were flying, just as the airlines intended. You could not, for example, make a reservation, show up at the airport, get a coupon and not actually take the flight. You had to fly! I quickly pulled out the Official Airline Guide to see what might be the easiest and cheapest way to obtain one or more coupons. 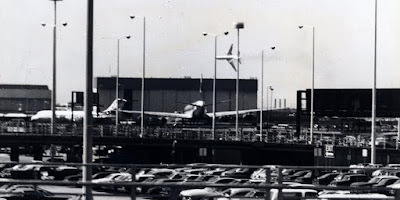 At the time I lived in the San Francisco Bay Area, a United hub, and flights were plentiful. I quickly determined that there was a United flight that went from San Francisco to Fresno and back with a stop in Stockton in one direction. Since they gave one coupon per flight segment that meant three coupons for a quick round trip. And the round trip full fare was only $28. One problem...the flights were sold out. So back to the drawing board. On the morning in question we drove to SFO and stood around the gate to see if we cleared the list. We both did and soon boarded. The plane was full and had a party atmosphere as essentially everyone was on a "coupon run". I recall that the stewardesses (as they were called in those days) handed out champagne prior to take off and, of course, the coupons. My friend remembers that when the stewardess went to take her jump seat there was a passenger sitting in it. The plane had to go back to the gate and discharge the extra passenger before continuing to Oakland -- he was the one exception to the "you actually had to take the flight to get a coupon" rule. The pilot got on the PA and announced that he would receive landing clearance at OAK before he received take off clearance at SFO. Wheels up to wheels down was probably 10 minutes to cover the 11.3 miles, and before we knew it we were in Oakland. * We were then had to get back to SFO and our car. A shuttle to the nearby BART station and a ride on BART to the nearest station at the time (Daly City I believe) and another shuttle to the airport took several more hours. The entire endeavor took the better part of a day, but we had our coupons! My friend tells me that he later made a round trip to Sacramento to get two coupons. He flew out in the morning and back in the late afternoon. Since most of the passengers were there for the coupon (it was easier to drive to Sacramento than fly for normal passengers), people were in a friendly mood. Though not usually that outgoing he struck up conversations with a number of people, including one very attractive woman, with whom he spent the day in Sacramento. They dated for a few months before she introduced him to the woman who would become his future ex-wife. Over the years, I've had my share of free flights due to volunteering, etc., but to me, that doesn't compare to the benefit from the 1979 Half Fare coupon. *This is (but not by far) my shortest flight on a commercial airline. Second place goes to a United flight from PHF (Newport News) to ORF (Norfolk) a year or so later at 23 miles...the flight was also going on to ORD which was my actual destination this time.